The lightgem on this branch *does* work, even better than before, because it's integrated into the frontend/backend split. It's the fbo/MSAA part that's not working with it And yeah, I'll fix that. Right. I was referring to the "current" LightGem in SVN trunk with FBO changes, and not the Lightgem in this BFG branch. It's done, I merged the changes. One thing you might want to take a look at is the gamma settings, which are ignored, both in fullscreen and windowed mode. Everything else seems to work fine for me, and I think there is a boost in framerate. TDM tends to struggle in some places at 1440p, where people playing in 1080p don't have any problems. Looks like it handles those places better now. We've already begun moving to "soft gamma" in 2.07 so we'll no longer be plagued by Windows 10's poor Gamma interface. Missions crash at the Mission complete screen. I'll test a few config changes to see if it happens with safer settings. Reflective water renders the splash screen instead of the skybox. Entering water freezes the last scratch image making any under-water navigation impossible. 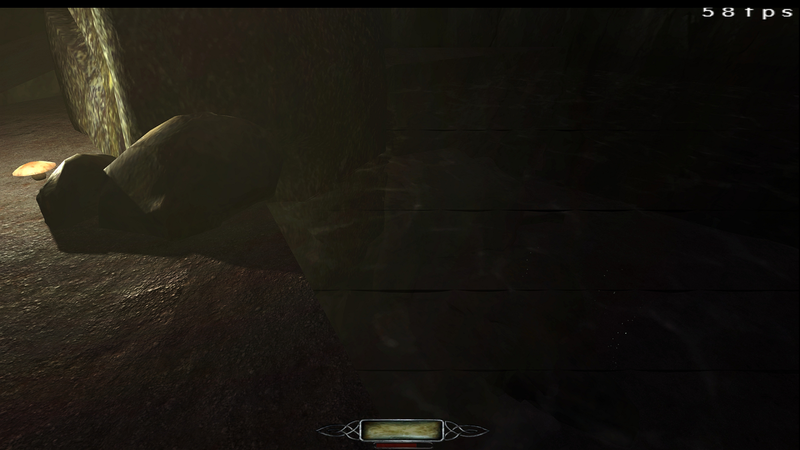 Tested this on No Honor Among Thief's, got graphical problems, water was black and showed what looked like a small white dot pattern on it and the sky flickered like crazy. On the vanilla 2.06 x64 exe, water looks fine but the sky shows a translucid blueish plane moving with the view, if I noclip towards the blue plane it disappears and the sky looks normal, if i look down i can see it show up in the top of the screen, but if i look up it goes away, very strange, could be the fog acting bad again. Some important info, because of a problem on my mobo, i add to go back to a old AMD GPU i add, the HD 5770 and because its a old GPU AMD has put its driver support into the legacy section, what that means is that there are no new drivers for it. So the last supported driver for this GPU is the Radeon Crimson 16.2.1. Don't know if this would happen on my newer R9 270X with new drivers but i can't test it until i fix the mobo problem. Crap, I forgot about the water. I kinda expected this to need work. Also just debugged the mission end issue. It boils down to the mission end triggering a final savegame on the frontend thread, which in turn tries to take a screenshot, and that can no longer happen (if SMP is enabled) on the frontend because it no longer has a GL context. As i recall, the water is potentially a similar issue, with it trying to do stuff on the frontend that it shouldn't. Do either of you have a mission in mind where I can quickly get to some affected water? Both issues need a slight refactor to properly adhere to the frontend/backend split. All perfectly doable. I'll try to get it fixed asap, but it might not happen before the weekend, sorry. to cover lots of scenarios at once. 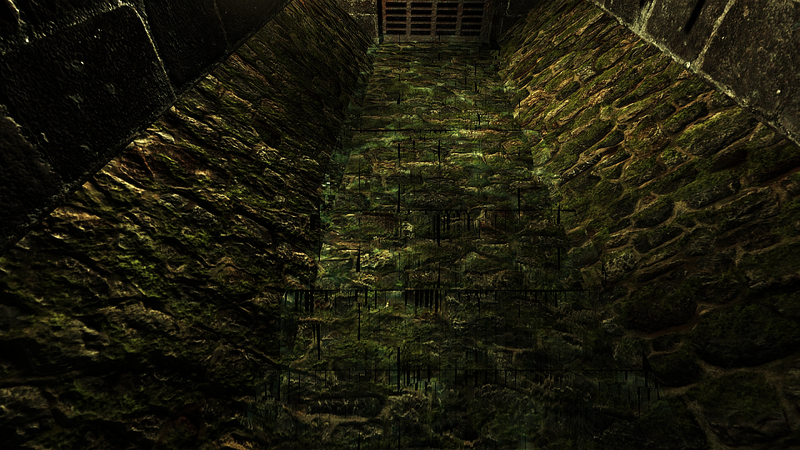 Volta 2 sewers, there's definitely something going on with water. Similar artefacts can be seen underwater, while facing up. Hm, underwater is expected for the reason I stated, underwater vision is doing stuff on the frontend it shouldn't. Over water artifacts I'm not sure, might be the same cause or something completely different. But I'll find out soon enough Thanks for letting me know. I've seen this weird effect prior to Cabalistic's update. Probably the know issue with Depth Buffer access when FBO is enabled. Edited by cabalistic, 22 May 2018 - 03:18 PM. The same effect is also visible on torches, so that would be a problem with heatHaze.vfp, right? Reverting to x64 from latest 2.06 update solves the problem, so that must have been fixed. Edited by Judith, 23 May 2018 - 03:10 AM. I committed a partial fix for the crash on mission success. I moved where the final save is created so that it can now succeed. However, trying to quit the game afterwards freezes the game in an infinite loop. This is caused by some interactions not being properly cleaned up, or so the game claims. Will continue to investigate. I completed Closemouthed Shadows without a crash at the end. You were right Biker, that effect is still there with latest 2.06 x64 exe. The console opens by tilde the first time, but it does not open after that (and it I spawn main menu, it opens there). I hope I'm not alone who has the problem? Hm, console works fine for me in windowed mode. But there is still at least one slight rendering issue I'm currently tracking down. Perhaps, under the right conditions, it might stop the console from rendering properly? Does the console react if you type a command blindly? If yes, it might be that rendering issue. If not, it sounds more like a logic issue and I'm not sure how these changes would have affected that. When I try to open it for the second time, the window loses focus, and I start seeing my mouse cursor (which no longer affects player orientation). If I then press tilde again, TDM gets focus back. For the whole time, TDM renders without any problems just as nothing happened. That sounds a bit like a background process reacting to that keypress, or something along those lines? Can you switch focus back to TDM via alt-tab? Reflective water and underwater now work as expected. Actually, reflective water only sort of works if FBO is enabled, but still wrong without it. I'm trying to figure out what's going wrong, but I have a feeling some render copies are not created or used quite right. No clue why the BFG-style vertex cache would have any effect on those, though. OK. Don't get to angry with me. I accidentally left Shadow Maps enabled (r_shadows 2). Setting back to Stencil Shadows resolved the ambient rendering issue. Strange that there's such a disparity whereas Shadow Maps work in other missions. Now I see the water rendering issues but it's at least the fully rendered scene.